A big part of what made Jon Bernthal’s performance as the Punisher work in Daredevil’s second season was that he acted as a dark, twisted foil for the series’ titular hero. But what happens to an antihero like Frank Castle when you take away the more morally sound characters that surround him? Though he was only a supporting character in Daredevil, much of the Punisher’s tragic origins were set up and explained over the course of the season. Seeking vengeance for his wife and children, who were murdered in a gunfight between three gangs, Frank begins to pick off those associated with the crime, one by one, with his arsenal of high-caliber guns. The Punisher’s ultra-violent brand of justice catches Daredevil’s attention and the two of fall into a game of cat and mouse that repeatedly brings them together and forces them explore the way that trauma has shaped their outlooks on the world. 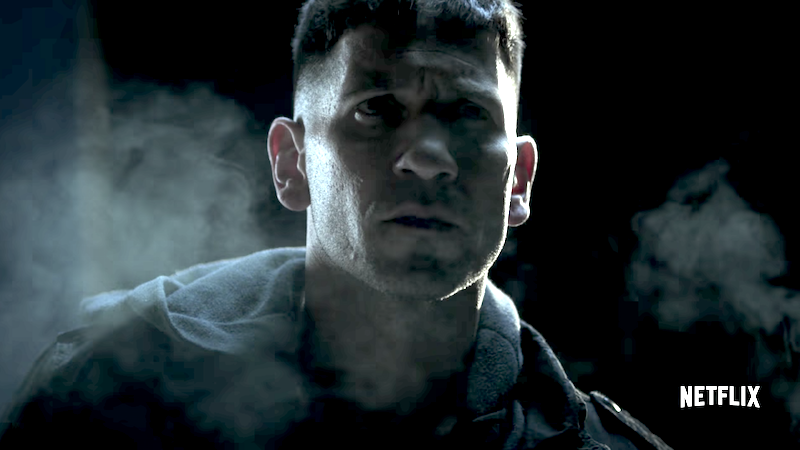 When Netflix’s Punisher series premieres this fall, Frank Castle will finally have his shot at top billing—but in a new interview with Entertainment Weekly, Bernthal made clear that his will be a drastically different kind of hero story than any other that Netflix and Marvel have told. Rather than merely trying to cast Frank Castle as tortured antihero, Bernthal said, Punisher lays bare the fact that the Punisher doesn’t really have much to live for in the wake of his family’s murder. As Punisher opens, Frank’s learning that the revenge he thought he’d gotten in Daredevil wasn’t enough to give his life a larger purpose. This season is much darker as it goes, it gets darker and darker and more visceral. The show takes you on this journey of Frank becoming more and more human again and then shutting off and shutting off and going back to what works for him, and the place where he kind of belongs, and I think that’s a place of solitude and of darkness and destruction. It’s going to get into as dark and as brutal a place as you’ve ever seen in the Marvel world, I can promise you that. Bernthal also stressed the care and attention to detail he took in preparation for the role, stating that he wanted to be respectful of the military community who, like Frank, may be dealing with the long-term mental consequences of war. It will be interesting to watch the Punisher unravel even further if, as Bernthal suggests, the character is more or less left with no hope of ever coming back from the brink of mental collapse. Perhaps we might finally get to see an antihero in a dark, complicated space that makes them truly difficult to cheer for.